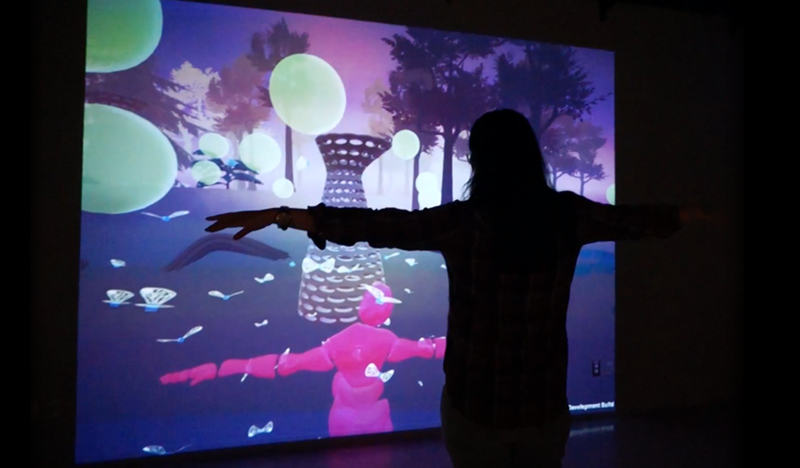 Encounter is an interactive installation which explores the coexistence of human and a virtual artificial life ecosystem through Spacital Augmented Reality and Tangible Augmented Reality means. The Tangible AR part of the project explores a new user interface for users to manipulate the virtual world and retrieve data on a macro scale. 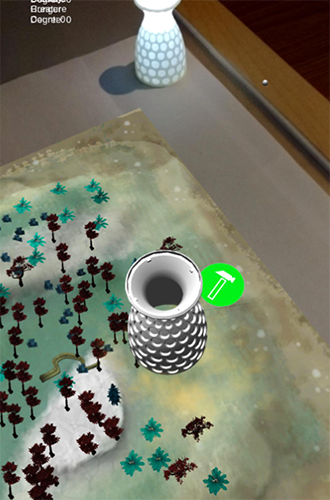 It gives users a physical landscape of the virtual world with a set of tangible objects, and users can place the tangibles on the lanscape and use a mobile device to see the co-located spatial 3D graphics, and then manipulate the corresponding virtual environment and query data with the aid of Vuforia AR markers. The mobile app is developed in Unity Engine. Both android and ios versions are developed and tested. 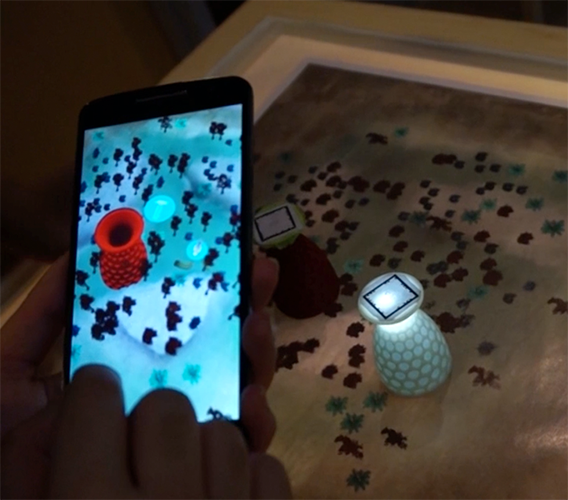 A 3D menu with AR videofeed as background. 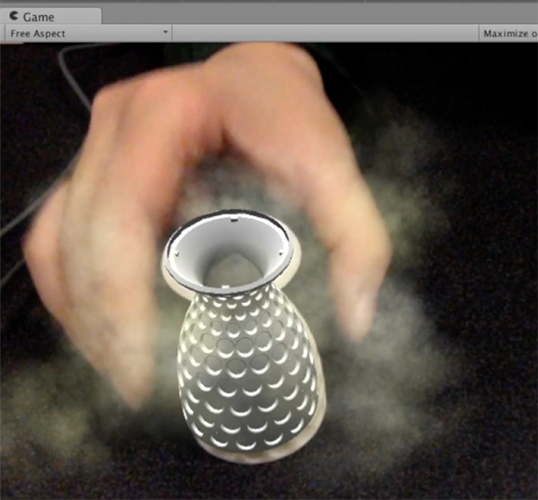 In the VR mode, user can see his/her hand gesture input. 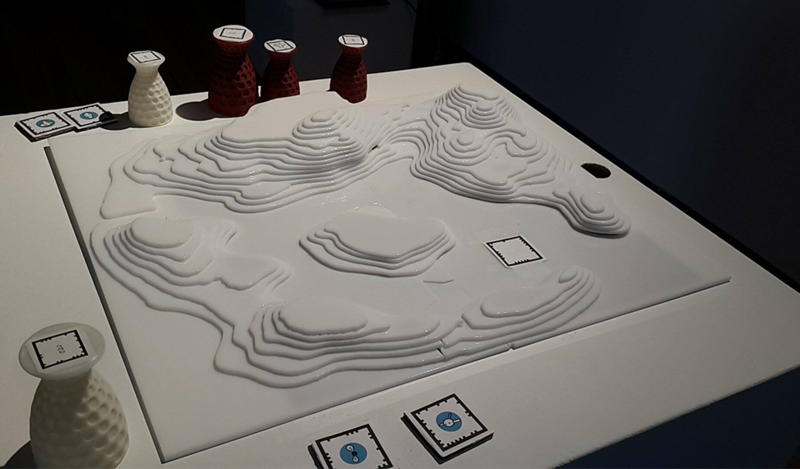 Left: Tangible AR Station (Macro landscape of the virtual world). Right: Spatial AR Area (Projected virtual world). My Role: Impelmentation of the 3D UI, Development of Weapons and Collision Programming in Unity using C#. Tools: Unity 5, Leap Motion, Oculus Rift.